It’s not a good time to be a fish in some of Iowa’s streams and ponds. 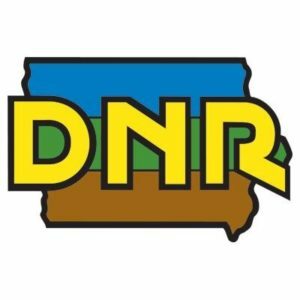 Iowa Department of Natural Resources Spencer field office supervisor Ken Hessenius says they’ve been seeing more reports of fish kills in recent weeks. “We have a couple of things going on –the water levels are dropping, so the stream flows are quite low. And typically in August we gave about our warmest stream temperatures, and both of those factors make fish very vulnerable to kills,” he explains. Hessenius says this is also the time of year when there is a lot of spraying going on in farm fields. “Typically those chemicals are very, very toxic to fish,” Hessenius says,”so any little bit of amount that’s carried into the water, or sprayed over the water, or put into the water can cause a fish kill.” He says other runoff that gets into the water can cause a fish kill too. Part of the problem is the dissolved oxygen that is needed in the water for fish is low. He says the dissolved oxygen is at its lowest level as the water gets warmer. Hessenius says you can help by taking care at your home when you handle various chemicals. “We have to be particularly careful that if you are washing a car or changing oil or doing anything with some chemicals, lawn chemicals, that those things don’t go down a drain. Or a more direct route would be through a storm sewer,” Hessenius says. There are also some natural processes going on that can lead to summer fish kills. “At night these plants and algae actually continue to use oxygen, so we can see some sags at night as a natural occurrence,” Hessenius says. If those plants cause the oxygen level to dip too low, it could end up killing fish. Hessenius says you may see what appears to be a lot of fish die in a pond — but he says they rarely all die off — and the remaining fish should recover. The same thing is true for streams. He says fish may be killed in one segment of a stream, but says it is surprising how quickly fish from other areas up and downstream will fill in and repopulate the area. He says they typically see the most fish kills in August and September when all the factors line up. You can help the DNR react if you see a fish kill by calling them as soon as possible to report a fish kill. He says quick reporting can help DNR staff identify the cause of a fish kill and potentially stop a fish kill in progress.